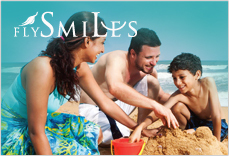 Kalutara Bodhi premises are a blessing and a solace to everyone who passes by. 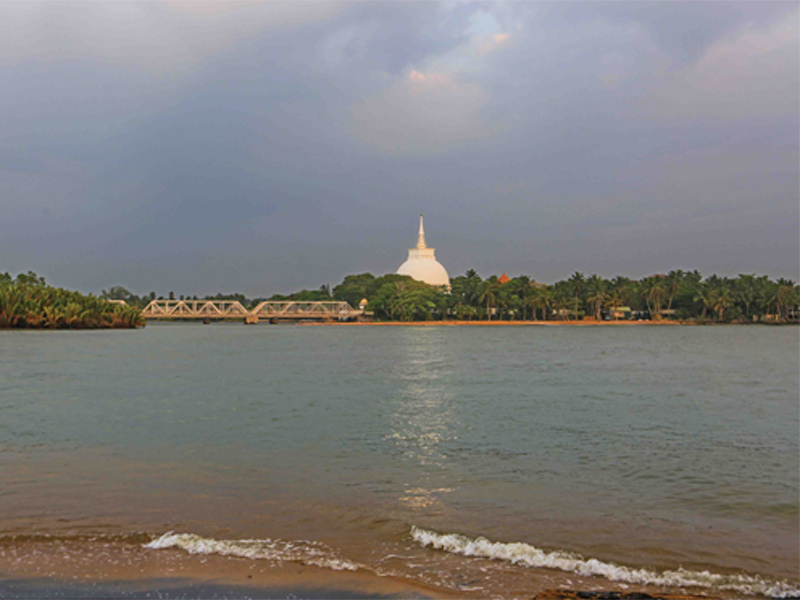 Kalutara Bodhi on the banks of Kalu Ganga emanates an aura of serenity and reassurance. A mere 42kms away from Colombo, the sacred religious site, is one where every passerby stops and receives blessings for a safe journey. The mighty Dagoba in the upper compound rose above the line of frangipani, gleaming in white against the vivid blue sky. Heart-shaped leaves of the Bodhi rustled gently, as if in blessing. Kalutara Bodhi premises is of utmost worship, uniquely located on either side of the main road, on the banks of river Kalu, with sea vistas in the vicinity. 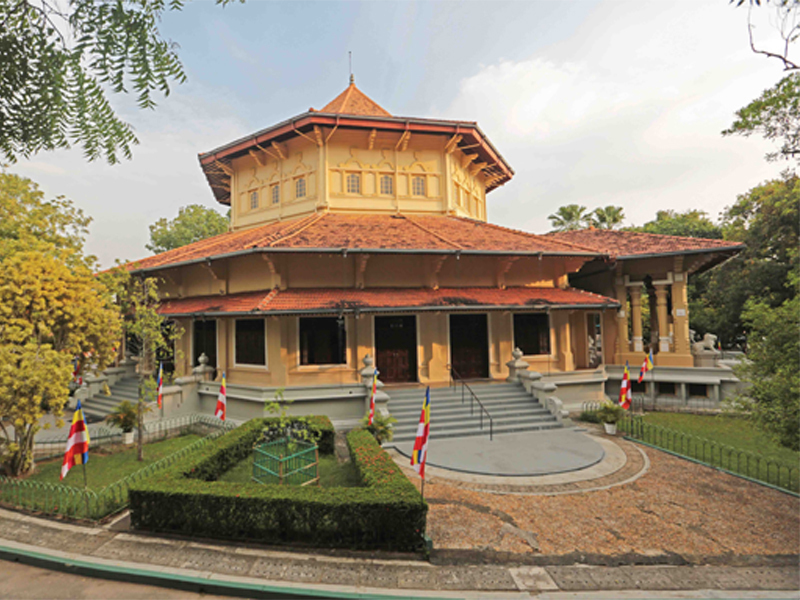 The sacred site was built by Sir Cyril de Zoysa with the formation of the Kalutara Bodhi Trust in 1951, which ensures the well being of the Bodhi to this day. 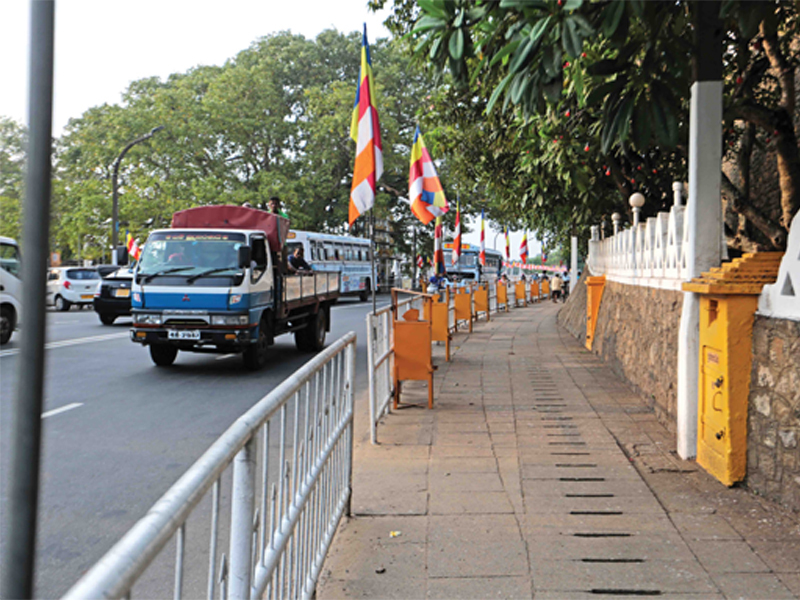 An enigmatic history surrounds Kalutara Bodhi. 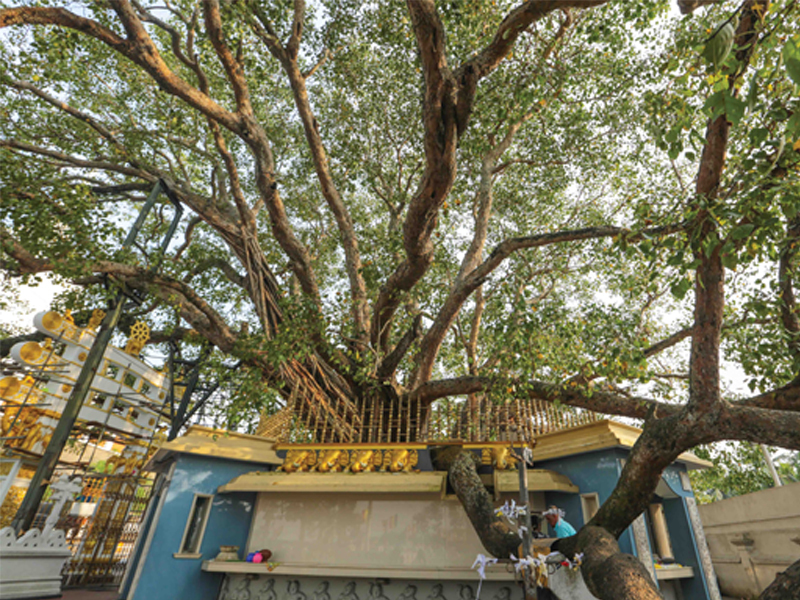 Some believe the Bodhi on the lower compound, the oldest tree in the premises, is one of the 32 saplings that sprung from the sacred Jaya Sri Maha Bodhi in Anuradhapura in the time of King Devanampiyatissa in second century BC. Some say it was planted in 1040s by Vikrama Pandya, a Magha prince who practiced Buddhism. 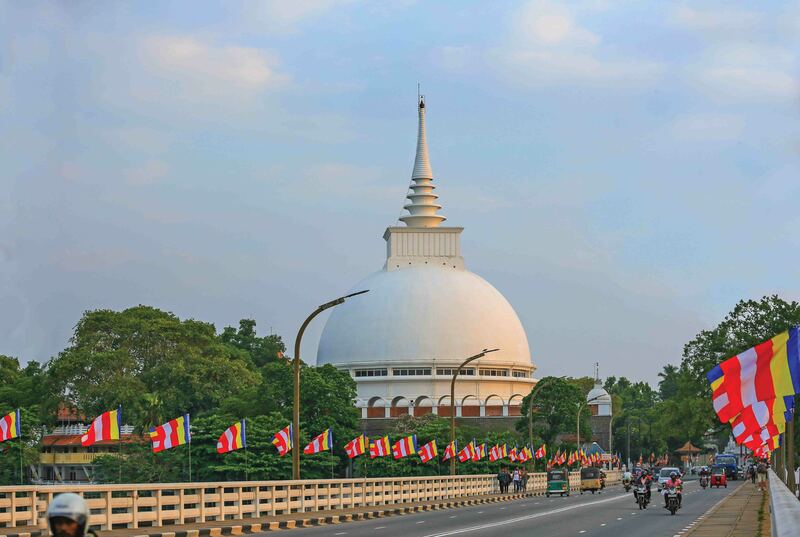 There are no records to confirm either belief, but worshippers have venerated the Kalutara Bodhi for centuries. We first made our way to the colossal Dagoba in the upper compound. An unusual structure, Kalutara Dagoba is the world's first Chaitya to have a hollow interior, with a smaller Dagoba inside it. We first made our way to the colossal Dagoba in the upper compound. An unusual structure, Kalutara Dagoba is the world's first Chaitya to have a hollow interior, with a smaller Dagoba inside it. Interestingly, the inner chamber is the only place in Sri Lanka where you can view the birth and the end of a river at the same time; Sri Pada, where Kalu Ganga originates, can be seen at night and the river mouth is easily visible towards the seaside. 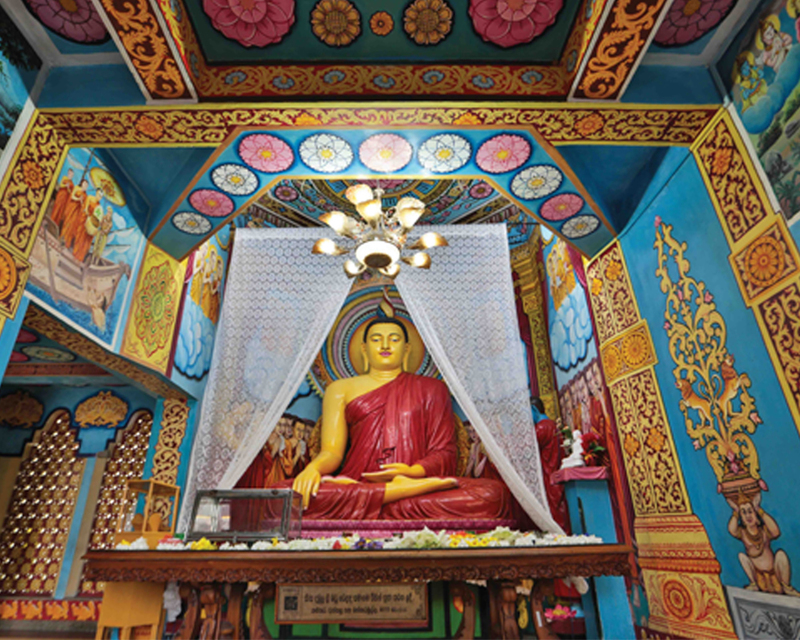 The inner chamber was adorned with wall paintings, all depicting Buddha's life and his past lives. Flowers were offered at altars near the small Dagoba and worshippers sat in revered silence. The chamber echoed every prayer that was chanted, and the effect was humbling. Hushed, we exited the inner chamber. Bodhi at the upper compound stood watching over the religious complex comprising a meditation hall, an assembly hall and a few Dana Saala. The Bodhi terrace was simply tranquil; Kalu river flowed undisturbed, fragrance from incense and flowers permeated the air as the breeze ruffled the Bo leaves. Once the office of the Government Agent during the Dutch and British periods, there were traces of colonial architecture around the premises. But they have been replaced with an aura so serene and reverent, that one forgets the past and revels in the peacefulness of the present. A Buddha Statue bearing the Bhumisparsha gesture representing the moment of his Enlightenment under the sacred Bodhi tree was placed, its altar adorned with flowers offered by devotees. A subway connected the two compounds, and we found ourselves underneath a sprawling Bodhi as we emerged at the lower compound. The branches spread over the road gave shade to the passers-by and they paused a moment, as is the practice, to offer ‘Panduru' at the wayside tills, praying for a safe journey. A quaint Image House was located towards the right side of the entrance. Origins unknown, its interior was painted with religious motifs adding to the quiet serenity. A third Bodhi towards the far end of lower compound was to be found, a hulking ‘Bodhi Gharaya' surrounding it. 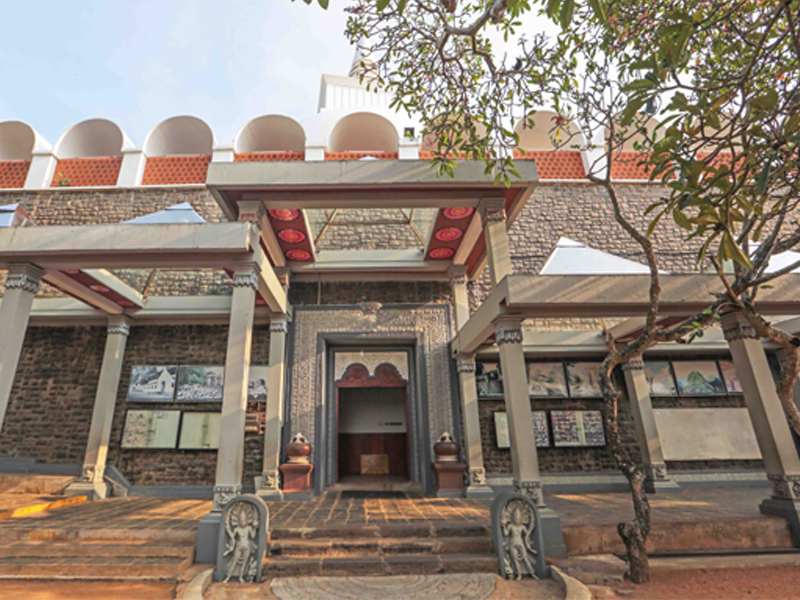 Built entirely in granite, this was a replica of Nillakgama Bodhi Gharaya in Galgamuwa. Expectant mothers were said to offer pooja at this Bodhi. The sun set as we stepped out of the premises and a calm that can only be gained by visiting a place of worship, settled in. Following the wayfarers who stopped frequently at the tills to receive blessings, we offered our own Panduru as we journeyed back home. 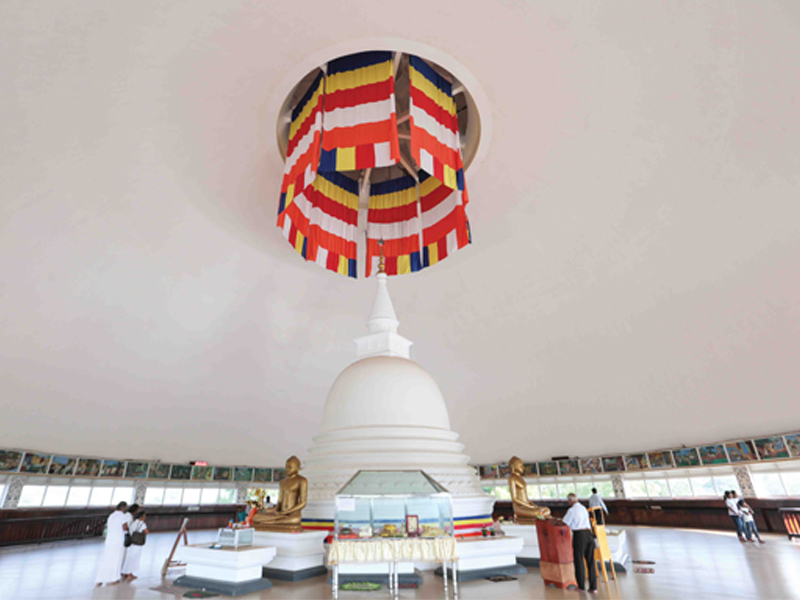 The hollowed interior of the Dagoba and the inner stupa are firsts of its kind in the world. The Assembly Hall accomodates over thousand devotees. The view of the mighty Dagoba on the banks of Kalu Ganga. 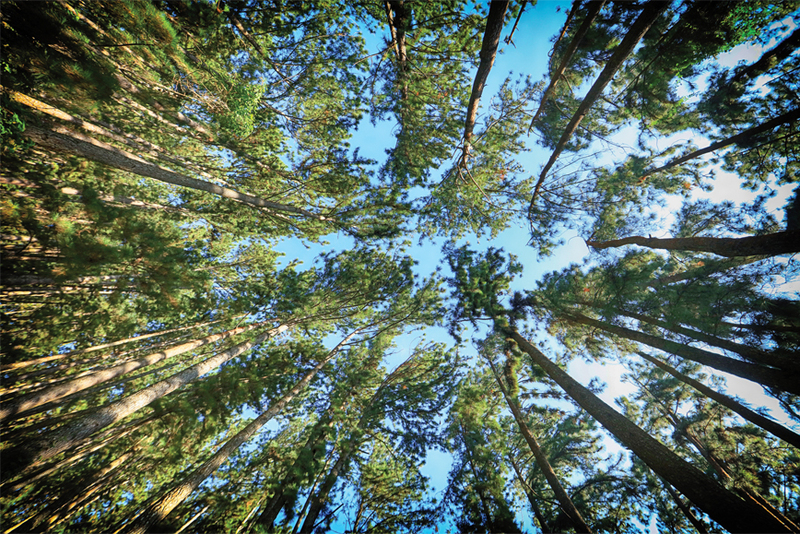 Dagoba is encircled by a towering rampart built in the ancient tradition. Bodhi at the lower compound is the oldest in the premises. Buddha statue in the quaint Image House at the lower compound exudes wisdom and serenity. Passers-by stop at the wayside tills to offer Panduru to receive blessings.